Identify client pain points, and recommend brilliant solutions. SEO Site Audits are an excellent way to identify your prospect’s needs and establish your SEO expertise. 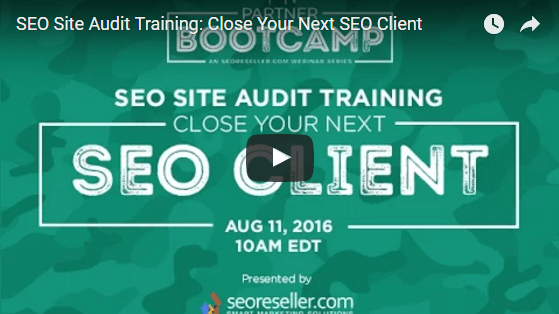 In the second Partner Bootcamp Webinar, Bernard San Juan III teaches you how to effectively use each part of SEOReseller’s SEO Site Audits to win new clients, recommend the right solutions, and begin a successful SEO campaign. 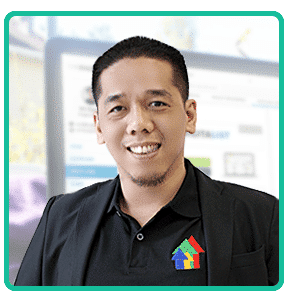 In 18 years Bernard has started 4 companies, taken 3 web-based companies to multi-million dollar status, launched and managed over 300 websites, and has run over a thousand marketing campaigns. In the Partner Bootcamp Webinar Series, agency professionals and freelancers will learn how to maximize the various digital marketing tools at their disposal. Gain expert insights on cutting-edge industry developments and methodologies, and learn how to take full advantage of SEOReseller’s full suite of solutions. Very helpful – answered questions about how to strategically leverage the partnership and technology. It was helpful and was able to gain a few tidbits of terminology that will help within the sales process. Very informative, thanks. Relevant to the sales problems we face within our business environment.